Dealing with second day hair can be a pain. Add a toddler to that mix and it can be quite a struggle. 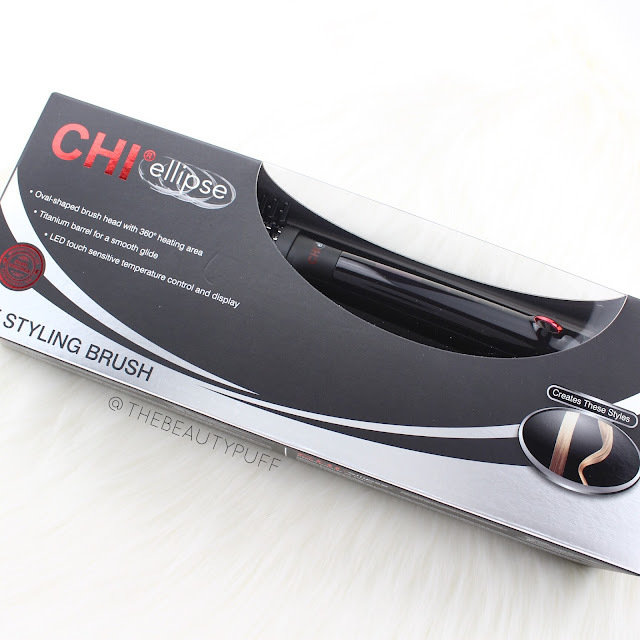 Lately I've been using the Chi Ellipse Hot Styling Brush for easy touch-ups and styling. It's fabulous for second day hair so I always have a quick fix for my not-so-perfect hair days. Style | The Chi Ellipse Hot Styling Brush features an easy to use touch-screen to control the temperature. The titanium barrel features an oval shape for smooth, soft looks every time. 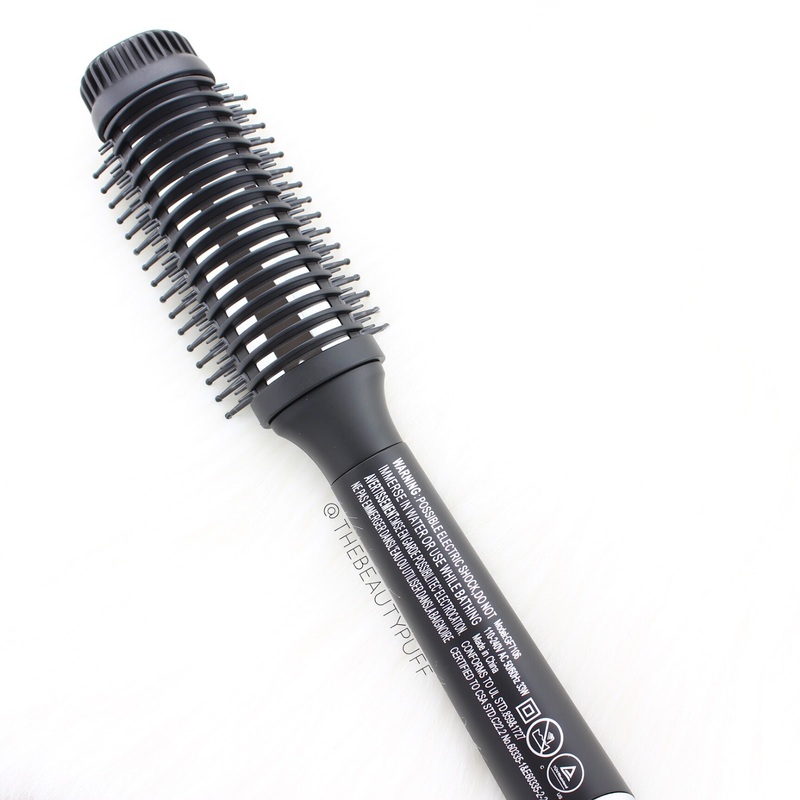 Since the heating area goes around the entire brush, you can also create curls, making it extremely versatile. How To | Plug in the brush and hold down the power button. Once the display turns on, you can push the + or - to reach your desired temperature. The heat setting goes up to 410 degrees. 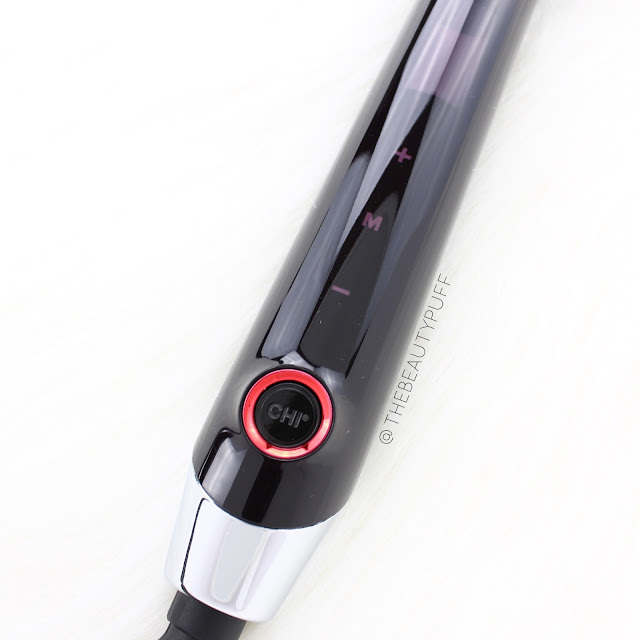 The ceramic heater maintains the correct temperature throughout your styling. The touch screen also locks once the temperature is set so you don't have to worry about changing the temperature accidentally. To change the temperature, just press the power button again and adjust. 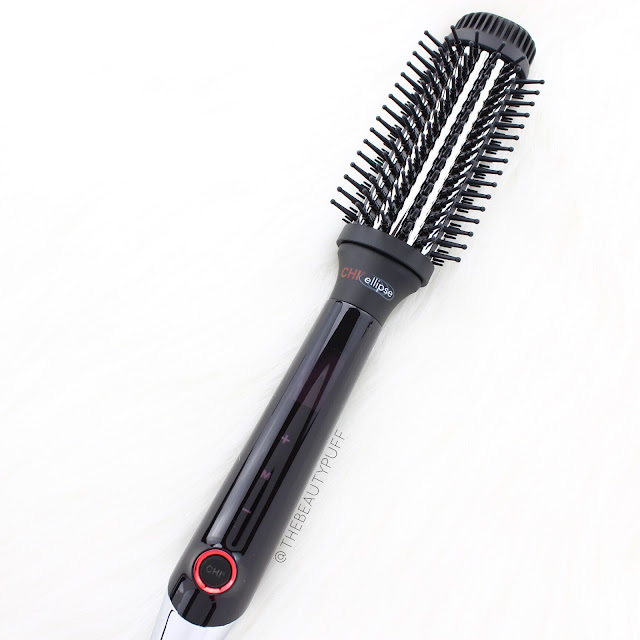 This brush also features a 1 hour auto shut off for safety. Why I Love It | This brush offers a quick, easy way to style my hair even if I haven't fixed it from the day before. I don't always have time for a detailed blowout, so many times I rely on a quick fix or air-drying. That doesn't always leave me with the best look! With the Chi Ellipse Hot Styling Brush, I can easily smooth out my hair, add soft curls, and achieve an effortless style. You'd never know my hair started out from a frizzy ponytail! The Chi Ellipse line is comprised of multiple tools to make styling effortless. It includes the: Chi Teflon and Titanium 3-in-1 Styler, Chi Ellipse Teflon Tapered Styling Wand, Chi Ellipse Teflon and Titanium Oval Styling Wand. Each of these tools features the same great LED touch-sensitive temperture control, heat settings up to 410 degrees and a 1 hour auto shut off. Shop below!